"A moving portrayal of empathy and innovation in action," Tanya Lee Stone's newest picture book, The House that Jane Built, illustrated by Kathryn Brown received a starred review from Publishers Weekly. Thrilled that Courage Has No Color Won the 2014 NAACP Image Award! Tanya Lee Stone has THREE more picture books in the works, all to be published with Henry Holt/Christy Ottaviano Books. First Up: Don't Collect $200 (the true story of who invented Monopoly), The Countess & The Computer, and Remembering Rosalind. Stone to write GIRL RISING Young Adult Book! Tanya Lee Stone is now writing a YA adaptation of the GIRL RISING film for Wendy Lamb Books/Random House. Out in 2016, the YA book will expand on the content from the film, which is about why there are 65 million girls around the world not being educated, and how changing that reality can change the world we live in. Courage Has No Color on the Penn. Keystone State Book Award List! Pennsylvania has chosen Courage Has No Color as one of their 12 titles for the Keystone to Reading Book Award List. The ALA just came out with their annual tabulation of the Top Ten Books that have received the most challenges and banning attempts for the year 2013. To my shock, my YA novel, A BAD BOY CAN BE GOOD FOR A GIRL, was #6! Courage Has No Color has been named a NAACP Image Award Nominee in Literature! Courage Has No Color has been named to the 2013 Booklist Editor's Choice List! Courage Has No Color has been chosen for the Kirkus Best Books of 2013 list! Parents Magazine BEST Nonfiction Picture Book 2013! Parents Magazine has named Who Says Women Can't Be Doctors? 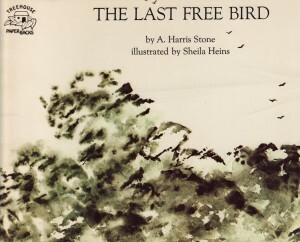 the BEST Nonfiction Picture Book of 2013! I've just been told that Courage Has No Color was named a Parent's Choice Recommendation! Booklist Top 10 Youth Biographies! Just got word that Who Says Women Can't Be Doctors? made Booklist's Top 10 Youth Biographies List. Check it out! Who Says Women Can't Be Doctors? on NPR Morning Edition! Los Angeles librarian Mara Alpert talks about Who Says Women Can't Be Doctors? on NPR's Morning Edition today! NYT interview with Billy Joel. Many here will relate to this: "I love having written, but I hate writing. So then I go through postpartum depression, and it’s: “Ugh, I gotta start all over again? Where am I going to get the” — what do you call it? Sitzfleisch?" Look for my story, Gravy and Mashed, in the YA performing arts anthology Starry Eyed, this Fall!